A MBOX file is one file containing many email messages in a row. Mail-List.com can Import or Export your Searchable Web Archive from or to the MBOX format. For the Windows, Macintosh and Linux Operating Systems. 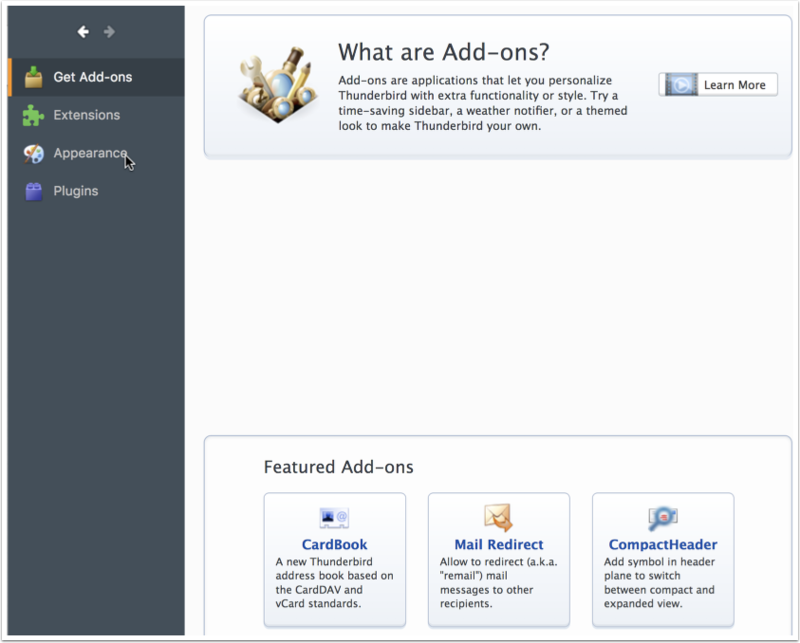 Many people consider Thunderbird the best email reader available. It has a lot of features and optional functions that can be added. ImportExportTools will add a new menu item allowing you to import (or export) an mbox. So the trick is to get the Add-on installed and Thunderbird Restarted, then you can import the mbox file. 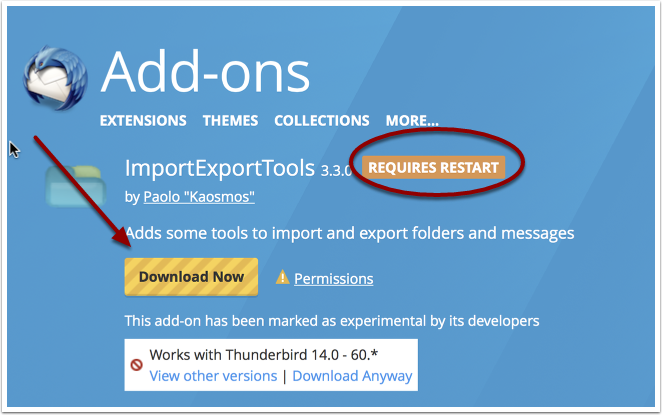 Unfortunately, ImportExportTools is not one of the built in Add-ons that you can install from within Thunderbird.